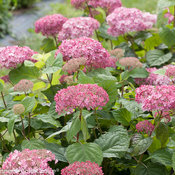 An improved version of the original pink 'Annabelle' hydrangea. 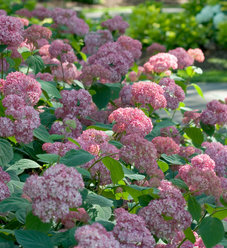 Invincibelle Spirit II hydrangea represents the best in full-sized pink 'Annabelle' hydrangeas. It offers handsome, dark green foliage, sturdy, strong stems that prevent flopping, and large blooms of deep pink that age to an attractive green. Plus, it reblooms, delivering waves of fresh flowers through autumn. 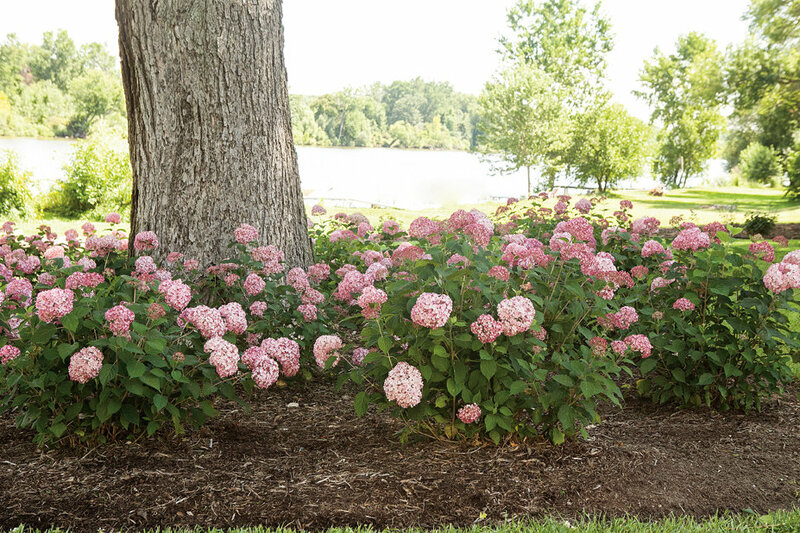 This North American native hydrangea grows over a huge range of the US and Canada, thriving in chilly USDA zone 3 as well as in steamy zone 8. $1 from each Invincibelle® Spirit II sold is donated to The Breast Cancer Research Foundation®. We encourage you to donate as well. BCRF is dedicated to advancing the world’s most promising research to eradicate breast cancer in our lifetime. For more information about BCRF, visit www.bcrfcure.org. Find out more about the Invincibelle Spirit campaign. 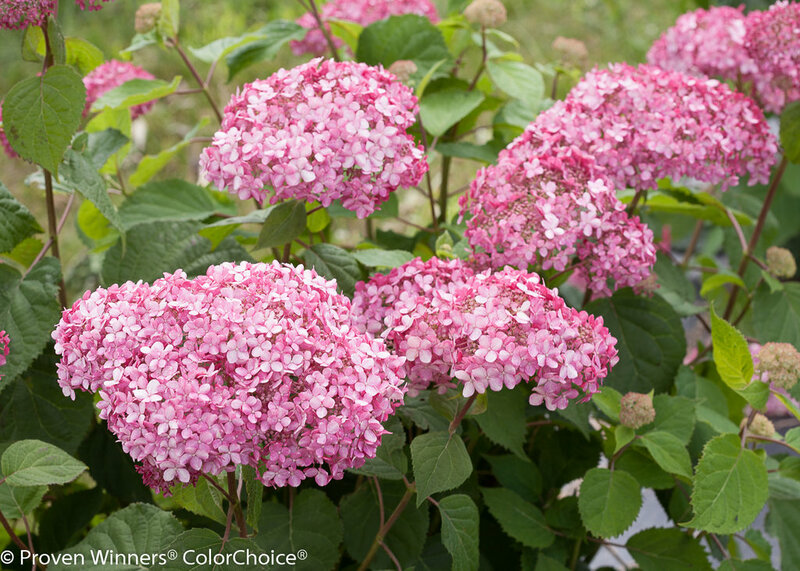 We recommend a minimum of four hours of sun for best flower color and stem strength. 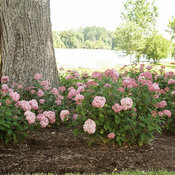 Invincibelle Spirit II hydrangea can grow in full sun in cooler climates, but afternoon shade is recommended in hot areas. In all areas, a good 2-3" (5-7 cm) layer of shredded bark mulch is recommended to keep the roots cool and growing vigorously. Prune Invincibelle Spirit II, and all smooth hydrangeas, in early spring, just as the new growth begins to emerge. Cut the whole plant back by about one-third its total height. Many people cut the plant back more severely, but that deprives the plant of the opportunity to develop the strongest, woodiest stems. 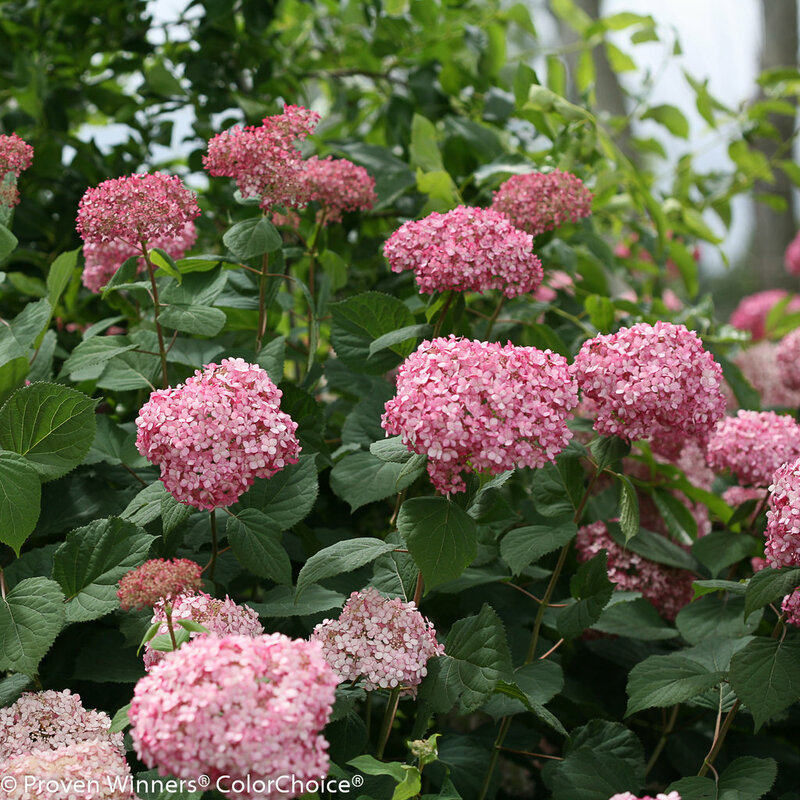 If you wish, you may prune in fall, once the plant has gone completely dormant. 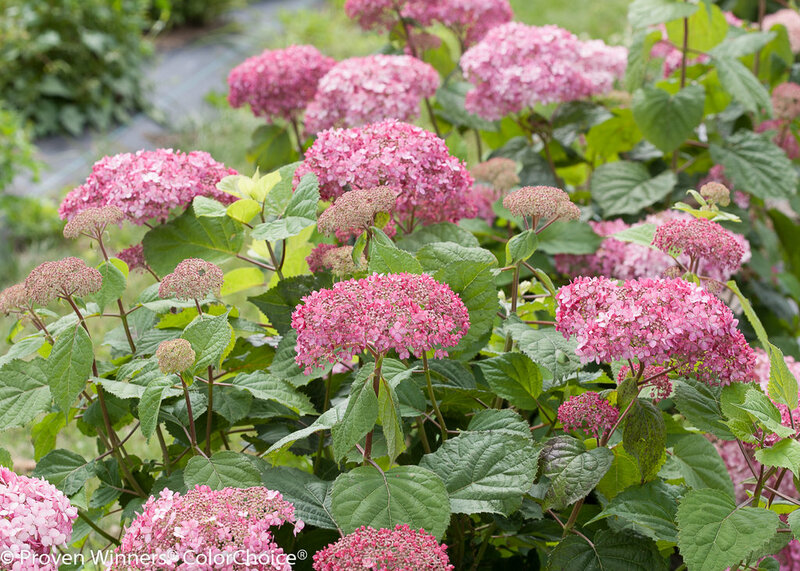 Deadheading - removing the spent flowers - is not necessary for this plant to continue to bloom. However, you may remove old flowers if you wish. 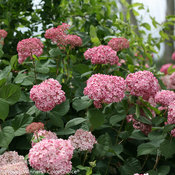 And by all means, cut stems to enjoy indoors - they make a great cut flower and won't be harmed by cutting. 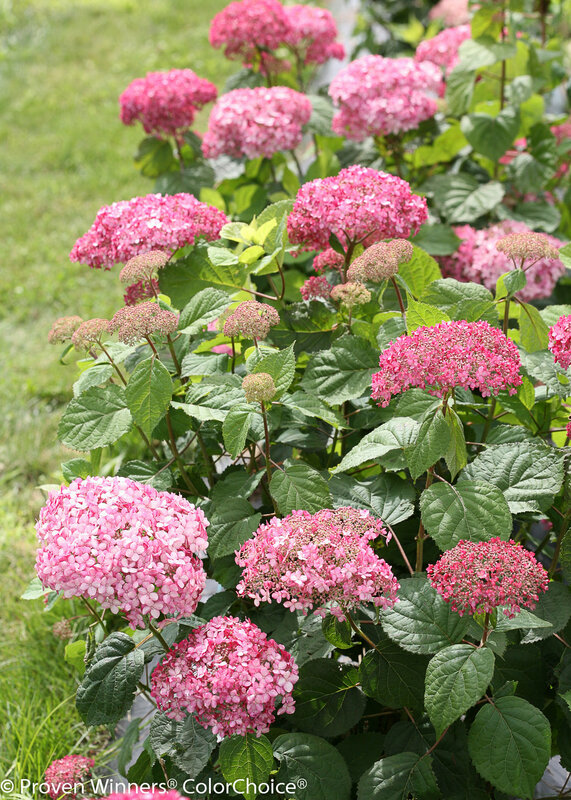 The pink hydrangea used to develop Invincibelle Spirit II hydrangea was discovered by a graduate student hiking in the Blue Ridge Mountains. Bought four of these in Fall'17, but only two survived the midwest winter. The other two are dead.Fertilized it, mulched it and the whole nine-yards later, half my plants are dead! 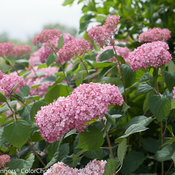 I love the look of this shrub and I bought 2 to put on either side of my windows, approximately 2-3 weeks ago. One is dying, the other is doing fine. They are approximately 4 feet apart. I went to the place where I bought this and they had a few but they look like they are dying also. 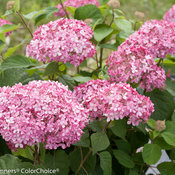 In fact I was told by one of the employee's of the nursery, the Hydrangea Invincibelle Spirit 2 is hard to grow and don't last long. Is this true? I spent over $34.00 on this shrub and I really would like another one. Are you able to help me? I don't feel like I should have to buy another one. Absolutely gorgeous. Planted two of these about 4 years ago, they are now well established. 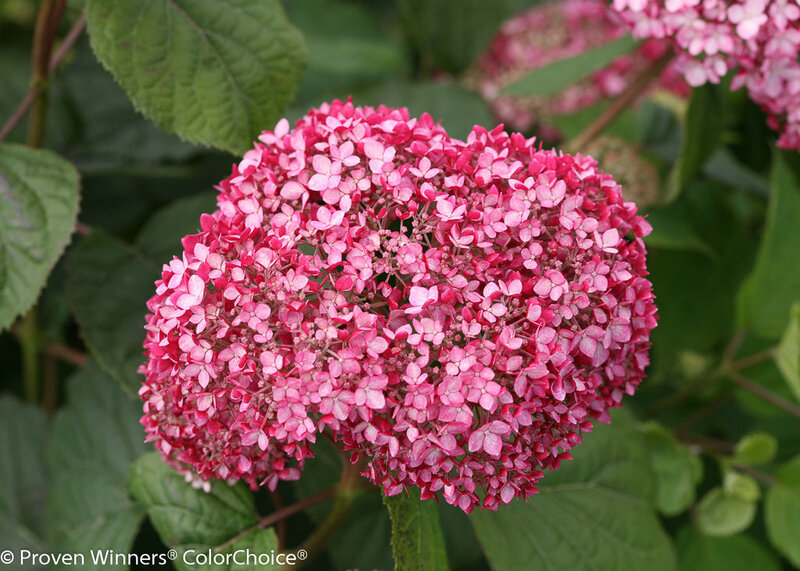 Blooms begin dark pink, open to soft pink, and shift to green when done. Each phase of the bloom is beautiful. Planted 5 of them this spring. I was surprised and happy with how many flowers i got. They were beautiful. but they turned an ugly green. debating on whether or not I want to get rid of them and get a different kind. I have had three of these in my yard for 4 years now. It performs very well even after a transplant. 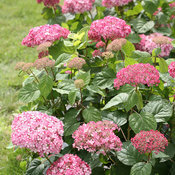 It doesn't get droopy in the heat like other hydrangeas do. It is full of flowers every year. 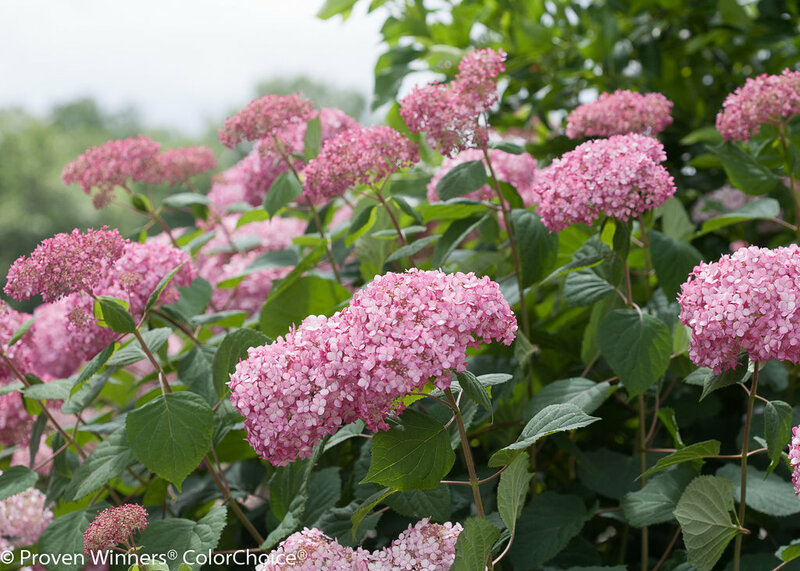 Leaves are a nice dark green and the flowers when done stay a nice faded pink or white color. 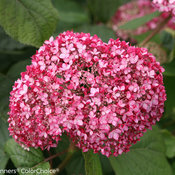 I love hydrangeas and this is one of my favorites along with the Incrediball. I just wish they lasted longer. My only wonder us it says they rebloom but I haven't seen that. I wonder if I need to trim off the dead flowers for that to happen. They say deadheading is not necessary but wonder if it's the way to go. Excellent plant that holds flower upright even after rain. Flowers color beautifully Pink. It is second year in the ground and already has 10 big flowers this season. I bought the quart sized pot last year and kept it in the pot till Oct 2015 and it had 2 flowers. I put it in ground in Oct 2015 and this spring it got 10 big shoots with flowers on each one. It started out pink but turned an ugly green very fast. They were never pink in full bloom. I would not recommend this hydangea,by far the ugliest one out there!